The eternal search for “the one” will take a man on many an adventure. But the search for the perfect Scotch whisky has ended. 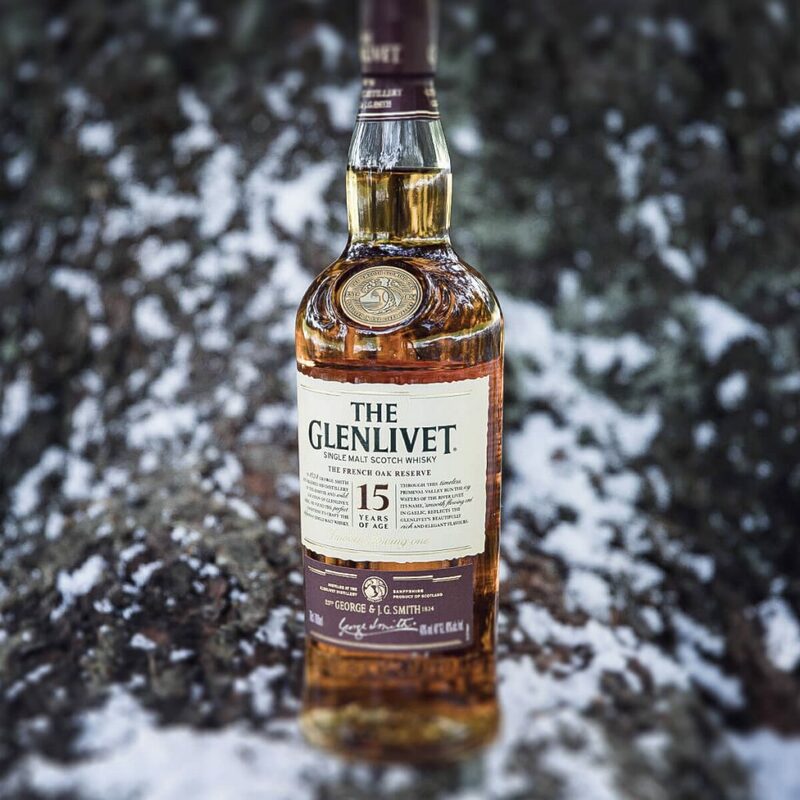 This is not just any Scotch, this is the Glenlivet single malt – the single malt that has set the standard since 1824. Situated near Ballindalloch in Moray, Scotland, the distillery opened its doors right after Scotch production was legalized to become pioneers in the industry. Since then, The Glenlivet’s bold exploration has lead to the discovery of new finishes, production methods, and exquisite taste – all encompassed in their newest innovation Captain’s Reserve, part of the Reserve range created in honour of the Glenlivet’s founding family. The Glenlivet’s Captain’s Reserve is a bold take on the classic Glenlivet that is sure to satisfy the spirit of adventure in any man. This is a whisky inspired by the spirit of exploration and discovery of its namesake, Captain William (Bill) Smith Grant, founder George Smith’s great grandson. Its unique character takes you on a journey from the misty glens of Scotland to the rolling French vineyards of Cognac with every sip. The Captain himself had a connection to both Scotland, his homeland, and France, having fought in the First World there. After the war, he returned home and used his superior fortitude and resourcefulness to ensure The Glenlivet distillery persevered through the Great Depression until present day. 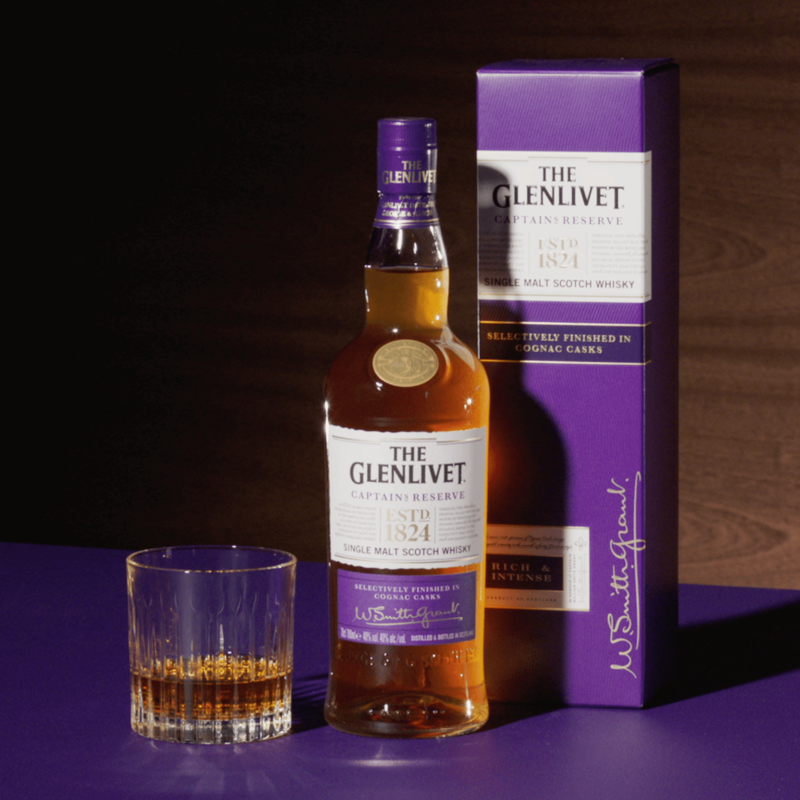 A combination of the raisin-rich taste of cognac with the signature citrus notes and creamy smoothness of The Glenlivet, Captain’s Reserve is matured in bourbon/sherry casks for many years, then finished in a high-quality cognac cask for at least six months to achieve a rich and intense flavour. The nose is bursting with sweet and fruity aroma, rich in honey and apricot jam with notes of sweet cinnamon bread and a subtle sensation of spicy liquorice. It has succulent flavours of mandarin in syrup, ripe poached pears and chocolate-dipped raisins and an incredibly smooth and luscious finish. 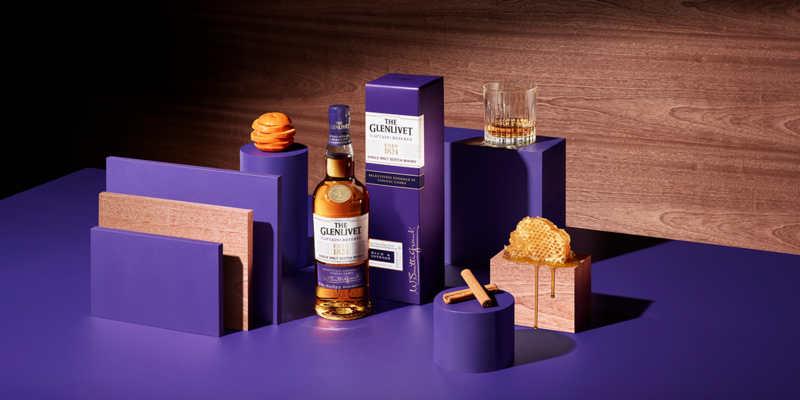 For a look that is as original as its flavour, the royal purple of the Captain’s Reserve bottles on the iconic Glenlivet label creates a bold contrast with the rich golden hue of the whisky inside. 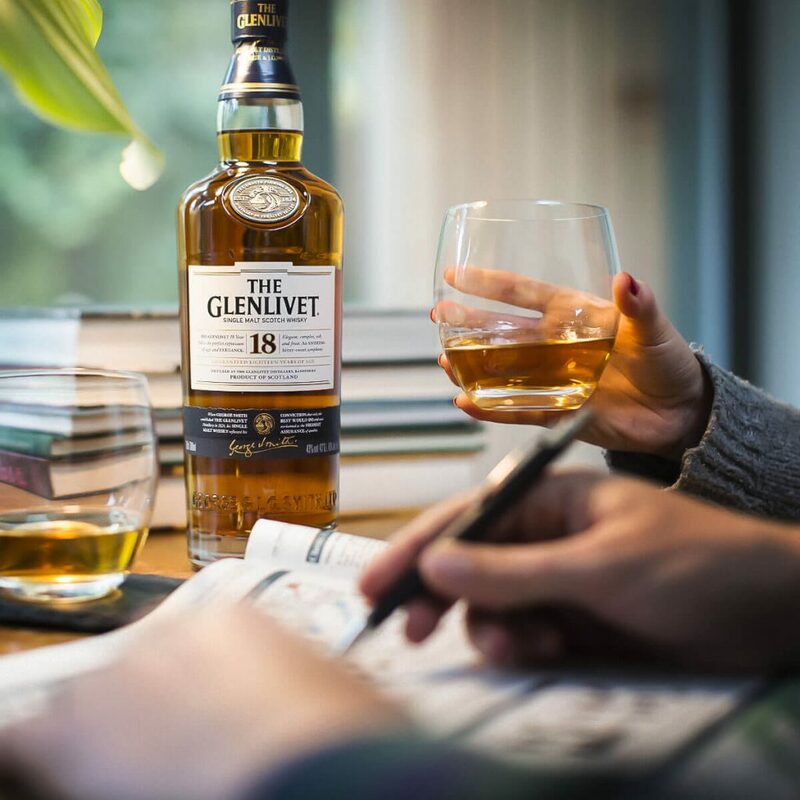 And if you are searching for a fitting gift for the Scotch enthusiast in your life this holiday season, order a bottle of The Glenlivet single malt with a personalized label. There is no better way to celebrate an enduring relationship than with a bottle of the Scotch whisky that has persevered in its production for nearly 200 years. Today, the distillery produces 13 exquisite Scotch expressions from The Glenlivet 12, 15, and 18 Year Single Malts to ultra-premium Glenlivet 21 and 25 Year Single Malts. Their extensive selection ensures that you can find the perfect gift for any occasion. And now, it can feature the perfect message for any occasion as well.